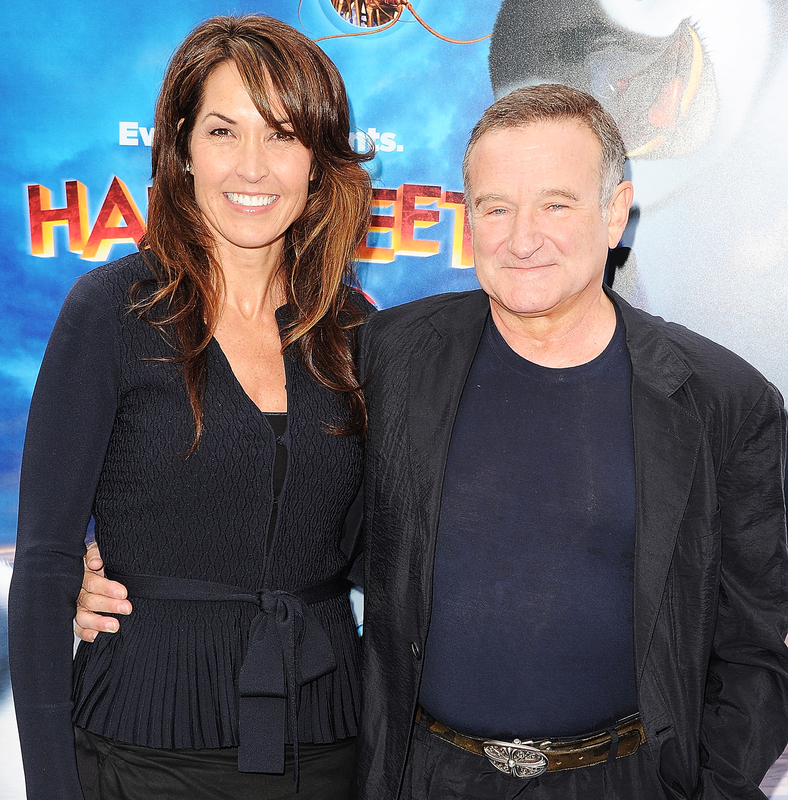 Robin Williams&apos; widow, Susan Schneider Williams, opened up about the late actor&apos;s struggle with Lewy body dementia during an interview on CBS This Morning on Wednesday, November 2. Schneider Williams revealed that she first noticed a change in his behavior when he experienced pain in his stomach as they celebrated their second wedding anniversary on October 22, 2013. "Robin and I had been together six years to that point, and I knew my husband’s normal baseline of fear and anxiety. And his fear and anxiety spiked and sustained at a level that was very scary," she told host Charlie Rose. "So that was kind of the beginning, really the way I see it." The incident was "alarming" to her, as more symptoms surfaced over a 10-month period. "It got difficult for him to even — even interacting with people became very difficult," she explained. "He would question things afterward or during … in the realms of ‘Did I do OK?’ Things that focused around insecurity and fear." Lewy body disease is when abnormal protein deposits build up over time. They affect the brain, which can lead to changes in behavior, movement and mood in a person. Some of the same symptoms can be found with people who suffer from Parkinson&apos;s disease and Alzheimer&apos;s.
Last month, Schneider Williams further detailed his symptoms in an essay for the medical journal Neurology titled "The Terrorist Inside My Husband&apos;s Brain." She revealed that he had problems with paranoia, delusions, insomnia, heartburn and a slight tremor in his left hand. The Good Will Hunting actor was then diagnosed with Parkinson&apos;s disease months before he died at age 63 on August 11, 2014. But, despite reports, she insists that the Oscar winner&apos;s depression wasn&apos;t what pushed him to commit suicide. "[Parkinson&apos;s disease] is actually an accurate diagnosis; however, that was the clinical side. The pathology was that he had diffuse Lewy body disease, which is what took him," she told Rose. "I can tell you in his autopsy, the coroner’s report was clear that he had Lewy body throughout all of his brain and brain stem — nearly every region." Watch Schneider Williams on CBS This Morning in the video above.